Pension 15 i Prag, Tjekkiet: Reservér nu! 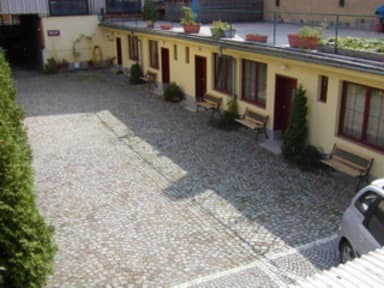 Pension 15 is located near the center (10 min.walk) in a part of Prague3. In this district there are many fine restaurants and bars. They offer typical Czech cuisine and Czech beer. The prices would best suit young visitors of Prague. Nearby there is a large park called 'Riegrovy sady'. Parking in the backyard 200 CZK.To book parking,contact us before arriving. Please bear in mind that our reception desk is open only between 7 am - 11 pm . Check-in 1.00 pm, check out 10.00 am. No curfew,youll get your own key when you check-in.